The West Coast Soccer Assocation is proud to announce that former college club player, Greg Norris, was voted Man of the Match Honors for the San Diego State Varisty program for his performance vs Oregon State over the weekend. Greg Norris was selected as Man of the Match on Thursday after scoring his first goal in an Aztec uniform to level the contest at 2-2 in the 85th minute. The redshirt sophomore midfielder checked in for the final 14 minutes of the match, but still led the team with three shots on goal. 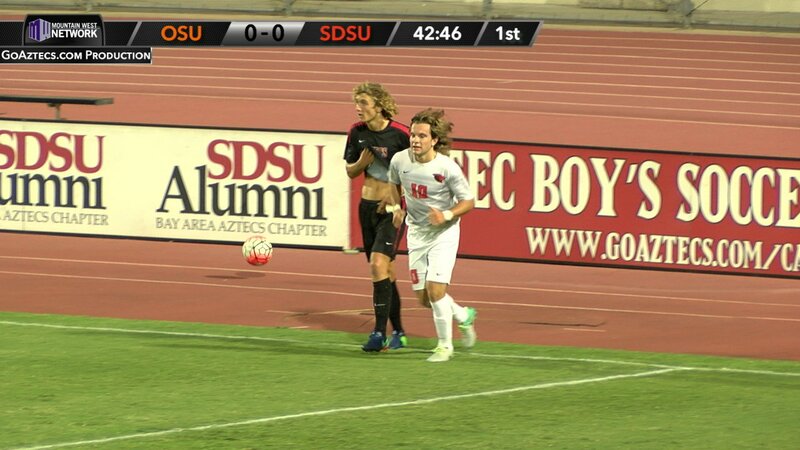 Greg first started his SDSU playing with the San Diego State Club program. He helped the Mens team to they first WCSA National Showcase Championship in Reno Nevada in 2015. He also won 2015 Cal South Adult Player of the Year that season. We wish the best with his continued soccer career. If you have any highlights of past and current WCSA players, please send them to competition.wcsa@gmail.com.